Monday-Saturday, 10:00 a.m. - 5:00 p.m.; Sunday, 11:00 a.m.-5:00 p.m. The Spice & Tea Exchange in Duck, NC offers the perfect Outer Banks cooking essentials for any food lover! We offer nearly 150 spices, unique hand-made blends, exotic salts, naturally-flavored sugars and dozens of choices for any tea enthusiast! Stop in to explore our unique selections in an old-world spice traders’ atmosphere! We encourage you to open the jars to experience the aromas and to ask our knowledgeable staff questions. While hand-mixing our custom spice blends and bagging teas, we always enjoy swapping yummy recipes and tips. 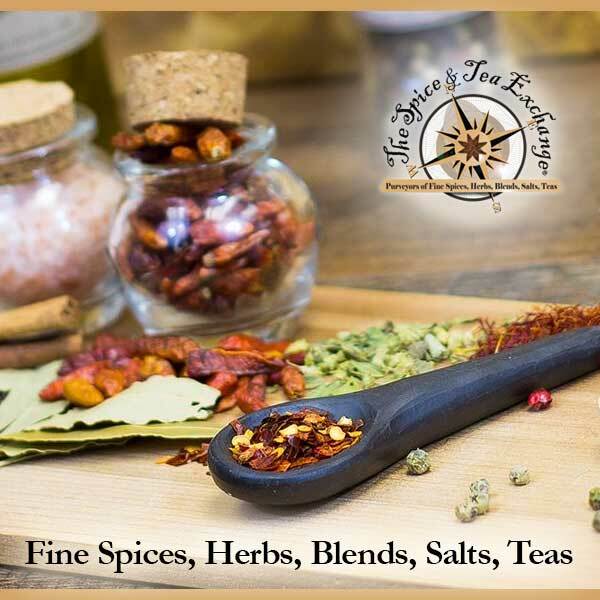 In addition to high quality spice and tea products, The Spice & Tea Exchange also offers accessories for home cooks and tea lovers and can put together unique gifts for our guests. The Spice & Tea Exchange is located in the Scarborough Lane Shoppes at 1171 Duck Road in the beautiful town of Duck. We feature spices, exclusive hand-mixed blends, naturally-flavored sugars, an array of salts from around the world and exotic teas.